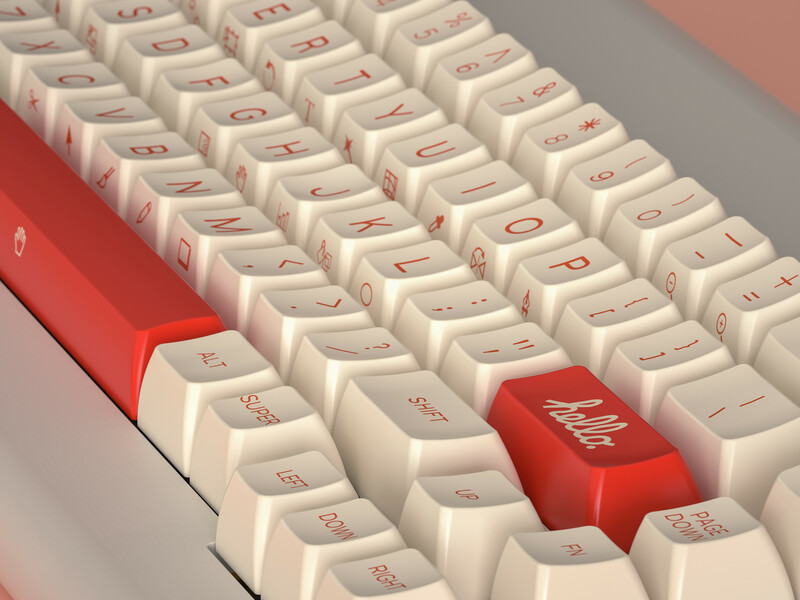 Inspired by Macintosh 128K and Adobe PS and AI, I designed this new keyset. I'm a PS and AI daily user, and I love PS and AI very much. To speed up my retouch work I always have to remember some short cut keys, but some times I press the wrong keys. 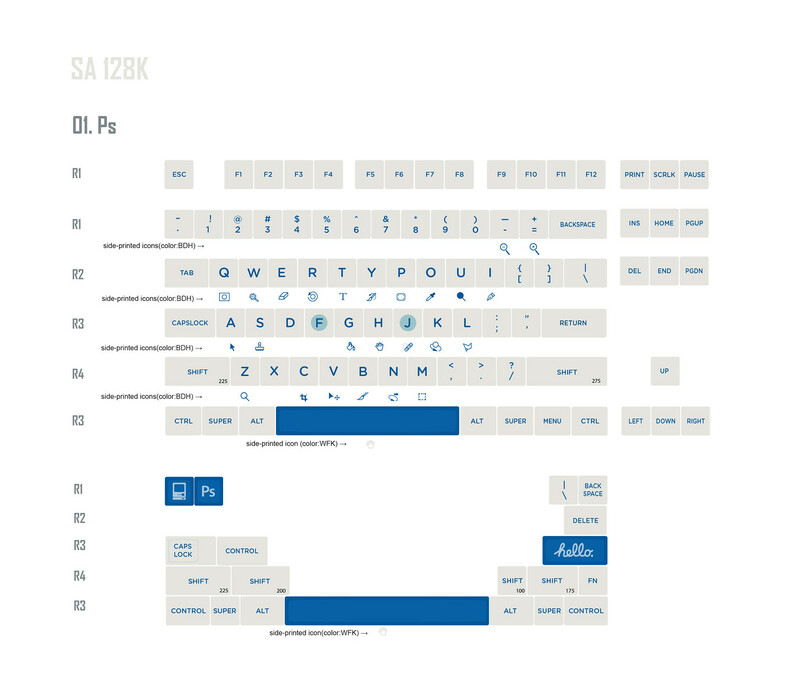 So, I think it would be better if I have a cheat sheet on my keyboard, or some icons on my keycaps. You know, you may buy some short cut icon stickers from some online shops, but they looks not good, and feels bad. Then, this idea flashed in my mind. A: Although it looks like original PS and AI software icons, it is actually my own work, I redrew them by myself. 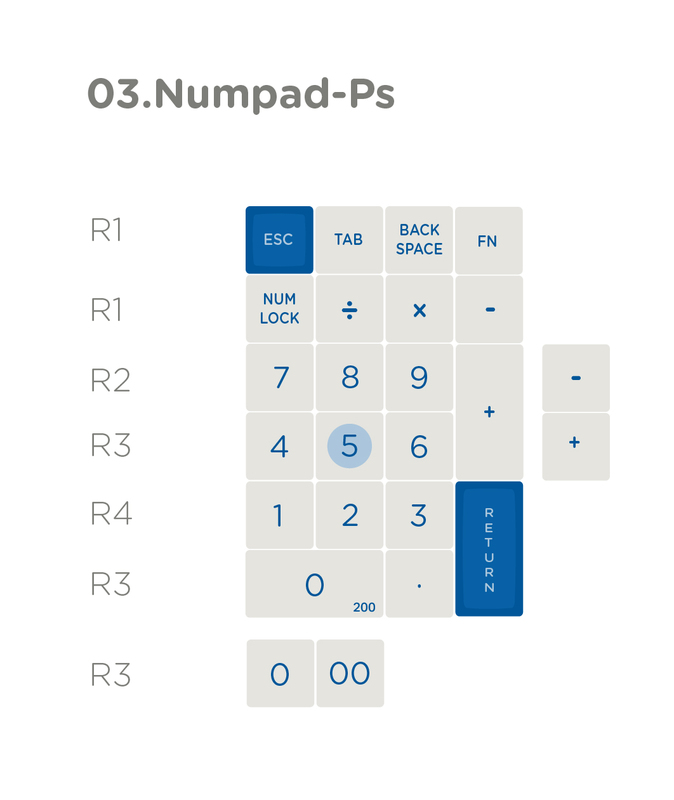 Q: Why there are not Numpad kits? A: I have not decided whether or not to add a kit for each, but if a lot of people would like to have numpad, I may add one for each color. In fact I want to reduce the total cost to make more people can affort it. 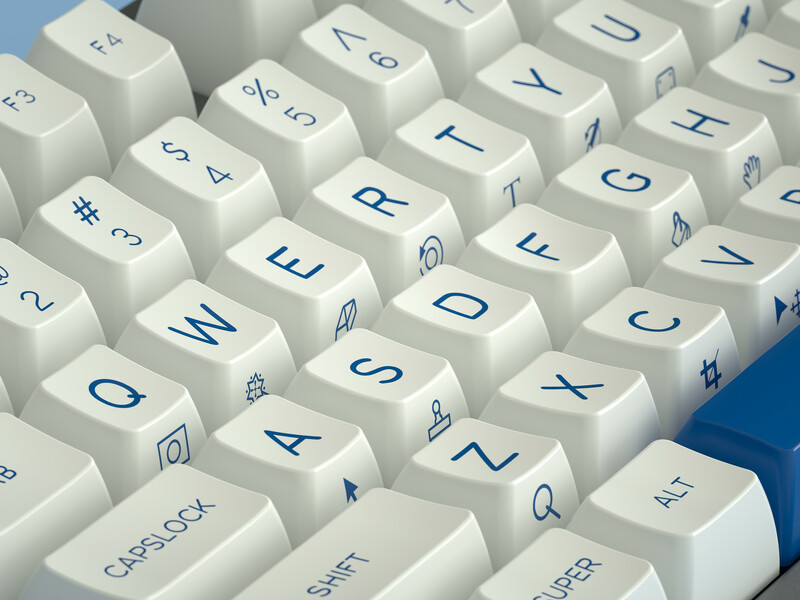 Q: Does SP can side-print those icons on the front skirt of the keycaps? A: SP replied me no problem. 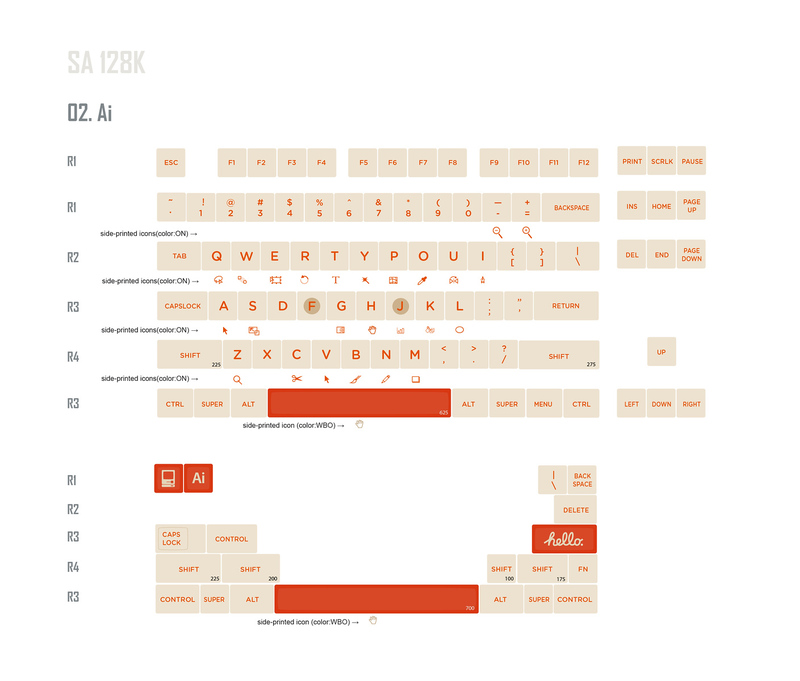 Q: Where do you want to run a group-buy for this keyset? Q: When will you hold the group-buy? A: TBD, maybe at this Christmas? 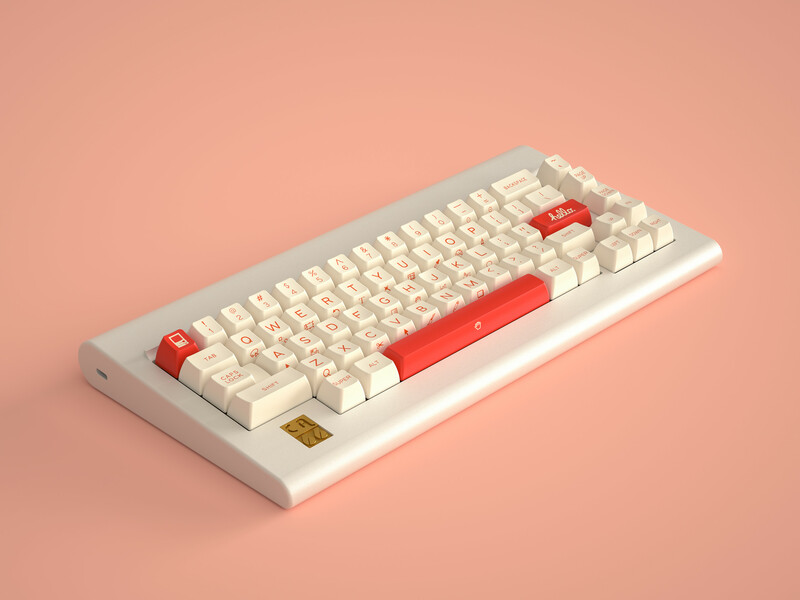 Q: What a possible production schedule for this keyset? A: 1 year after the group-buy ends, the recent production slot for SA is Nov.2019. Don't always complain why it's so slow, why is it always delayed, you know it's just "new normal" for SP SA ABS keycaps. Q: Have you cosidered to make with other metarial by other makers? 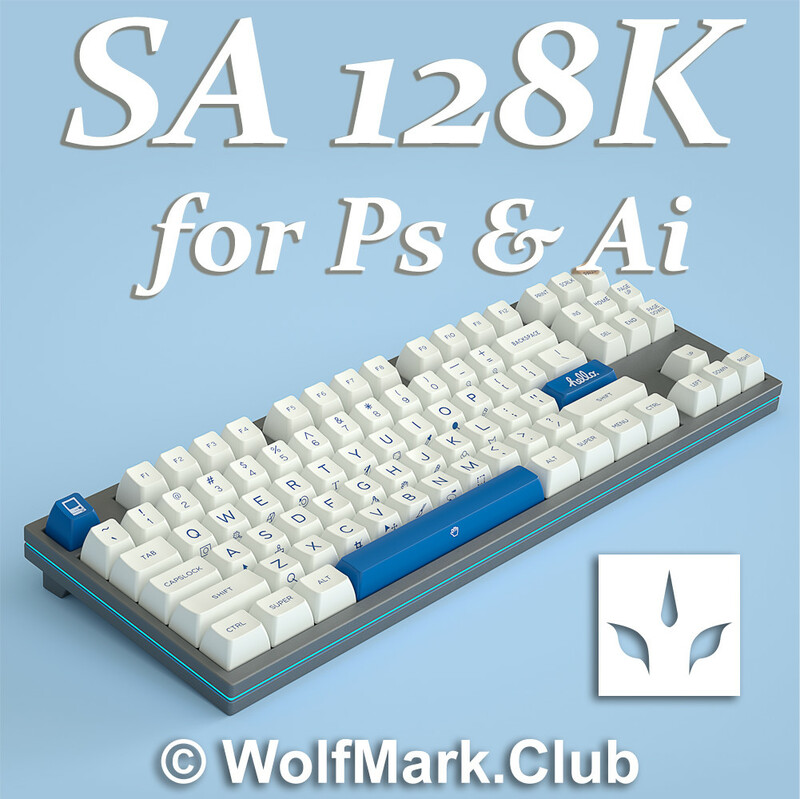 such as SP PBT or Maxkey? A: No. At least the first step, I want to do SP SA ABS first. 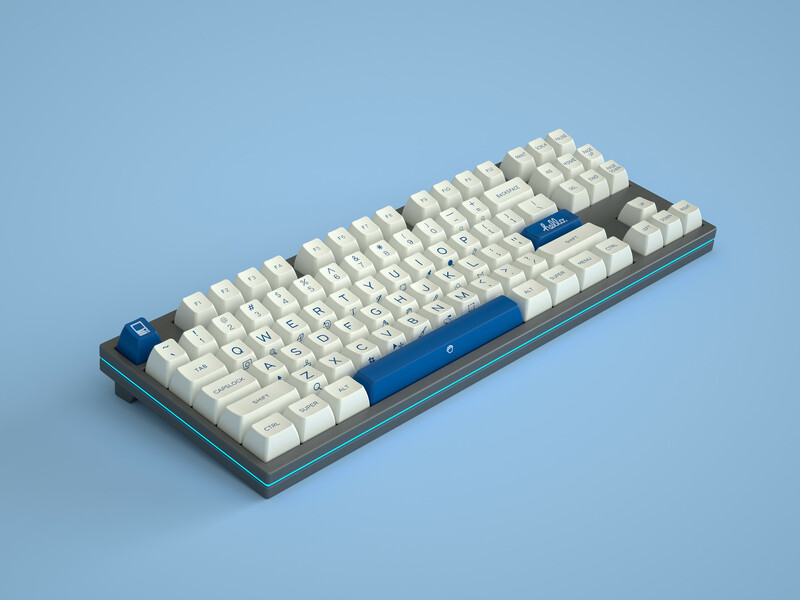 Q: What is your next work for this keyset? SA Mechanist GB is fail? It has already concluded. I joined that one. I like it, looks great! I vote for the numpad inclusion. 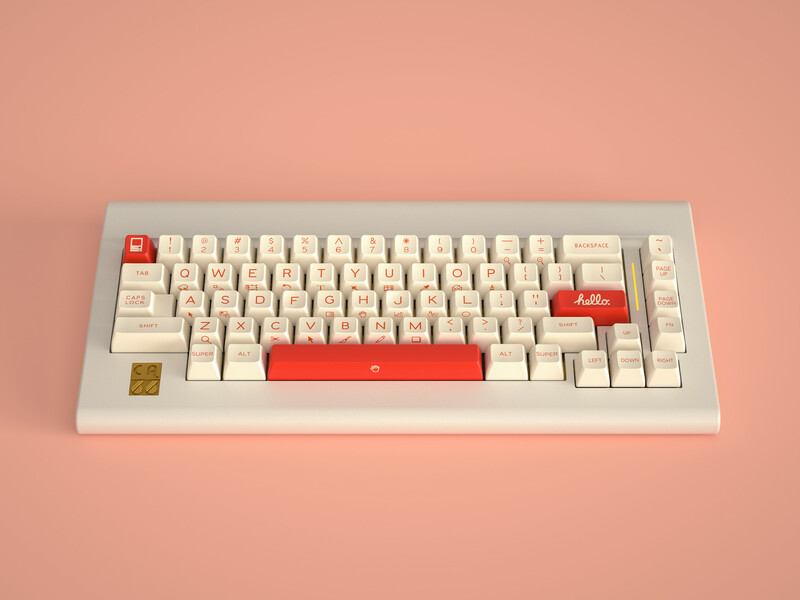 I guess it'll be a fun question to ask since this keycaps actually functional other than just esthetics. What If i were going to use both programs in a work flow? Since both shortcuts has some differences and similarity. this is really clean. i like it. 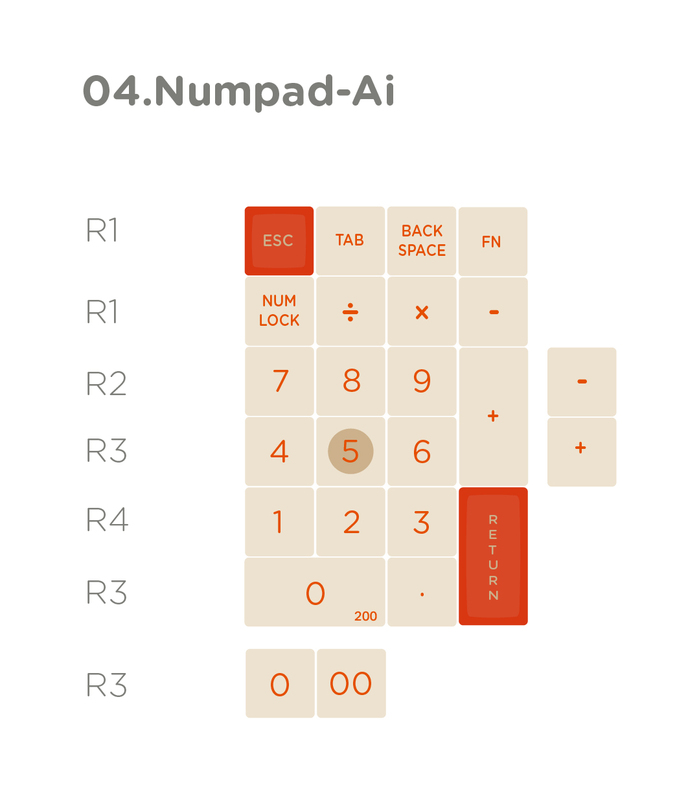 would really like a numpad kit myself. I love this! we need more sets with front printed stuff. Yeah, it really was. Chances are if this gets run on some sketchy unknown site, it will too! Such a neat design. Prefer blue but have to buy both to be complete. So, please keep the cost down. I am ok without numpad. Lastly, can you do the gb on zFrontier or on your own like SA Song? 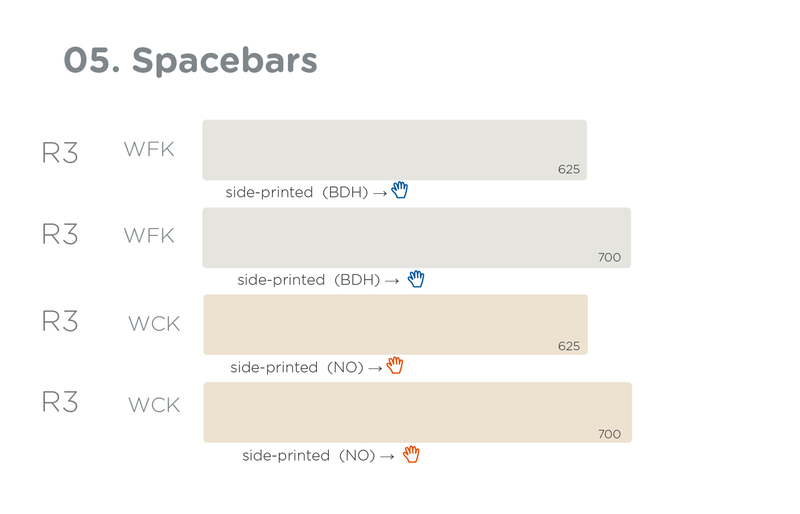 Any chances at a spacebars kit, to support 40% and split spacebar layouts? Did you receive any invoice? haha,it's a fun question, maybe you need to got 2 keyboards for both 2 keysets to put them on. Yes, Numpad can be added later. Do you mean front print the arraws on UP DOWN LEFT RIGHT keys? No problem , I'll add them later. I am a sucker for orange and blue so will def go for these. 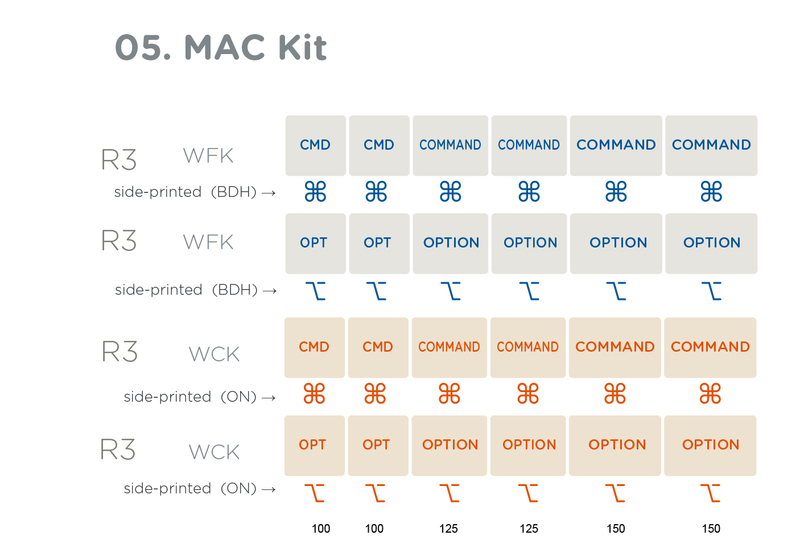 Please include numpad kit as well, else it will be incomplete. Are you planning to run this via MD or some other vendor? i think that i will can't see side-printed well. Maxkey is not a bad choice, after I run SP SA I'll consider it. Thanks, I’m may still try to join you SP SA run, I just hate SP’ long & at time additional delays w/ SA sets. Before people get hyped on this you might want HOQ to answer a few very important questions. 2. Where will people be able to discuss this buy if/after it makes it to the GB stage? Last time you quickly closed the IC once the GB opened (which is GH procedure), but then you never opened a GB thread or provided anywhere else to discuss the GB and its status. 3. Will you be accepting paypal for if this hits GB? This may seem like a dumb question, but last time Paypal was NOT accepted as payment. I'm asking these questions because they are extremely important to the success of the set. I love both sets and I think these would be great as a teaching tool for my son. I've had all of these shortcuts committed to memory for years now, but it would probably help a novice. I just wish there was an accent enter that didn't have the "hello" text. I get the homage, but I'm not a fan of it. I did not receive any invoice. They did not tell me anything. So I thought that GB failed. But I was suddenly billed today. I do not even know my order list. @hoq can you tell us what is going on here? Sorry, I also don't quite know the progress now. If the group buy fail finally, I think I can run it one year leter with fewer kits and shorter group buy period. Thanks for York.Chen's help, I got some renders. Looks so beatiful! I would prefer a spacebar that matches the alphas at least as an option. 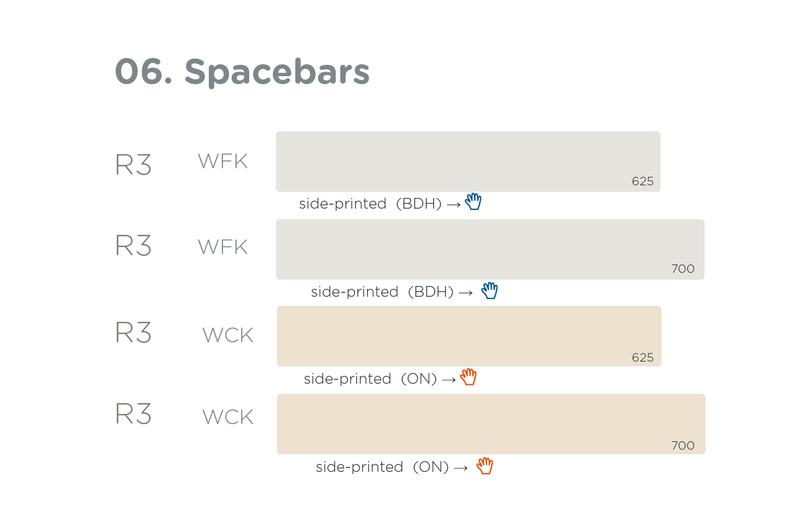 Do you mean the white spacebars? That not bad idea. I would have added a tabs icon under `~ tho. Hi, sorry I missed your replay, I just saw it now. 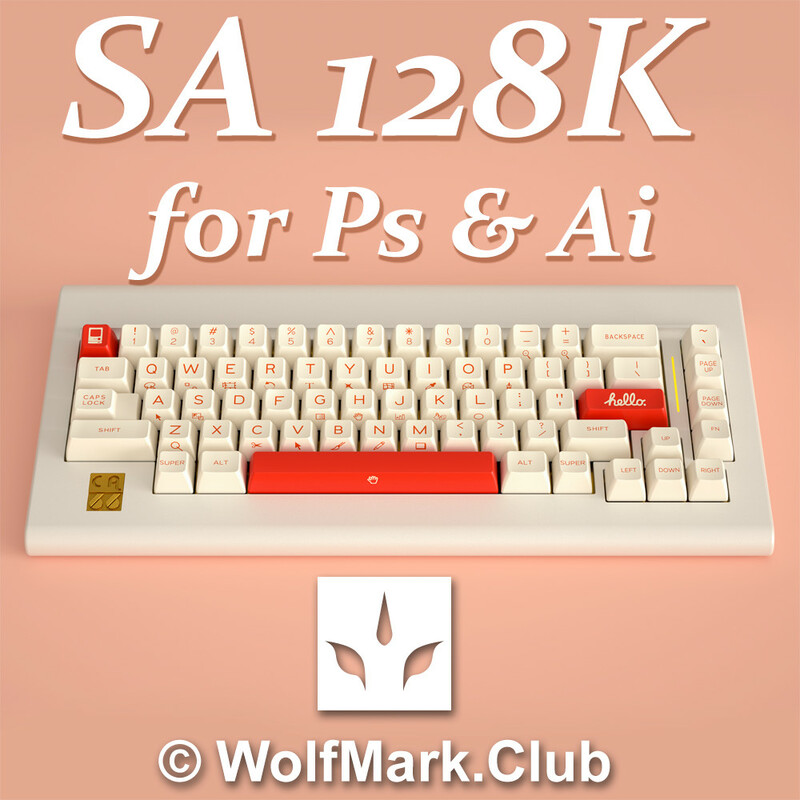 1, For SA 128K, I will run all buy myself. I know you mean techbuys issue of Mechanist, but until now I can't tell what really happend of techbuys, I can’t contact him either. 2, The GB date has not decided yet, Of course, I will fully seek all your opinions. Sorry for the previous experience made you unhappy, but, you know I 'm a individal designer, all that I can do is to keep the design neat and simple, that can reduce the cost for all the people, more kits is impossible to meet MOQ. A summary of everyone’s opinions does not guarantee a successful group buy. 3.Surely this time I use Palpay, if you feel unsafe of the payment or the procedure anytime you can cancel the payment. This is really nice. I’m interested for sure. 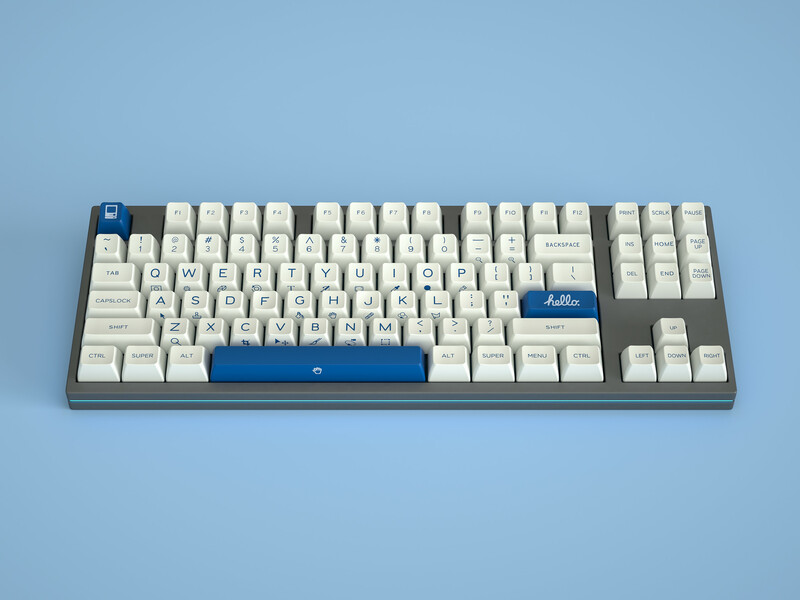 This looks great, I'd prefer the numpad kit as well. question... Doesn't the illustrator set have too much red in it? It needs to be more orange, right? Actually, OAS might be even closer, but it is a true orange. Seems like you want a more red-orange. Beautiful design and awesome renders. Cool. you guys can still run GB of SP SA? I heard someone said they full of production for 2019? Not good to wait for a year, but some of us are still willing to take this wait for our favorite design and profile. OBC and OAS look more close to AI icon 's color. haha . I just followed the feeling of choosing the color. Any update on GB timing? Have not any plan yet. I'm busy at something else now. 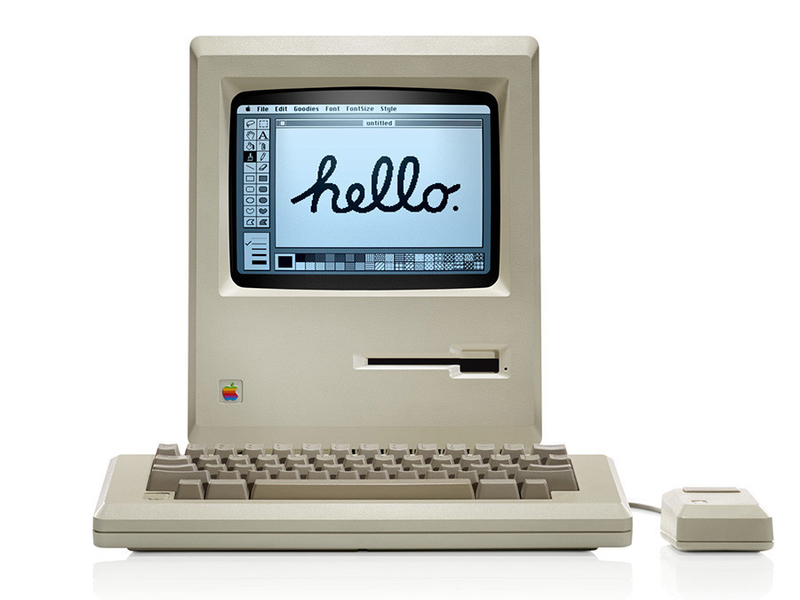 BTW, Its 35th anniversary of Macintosh 128K today.